Canon has just outed the actual successor to the ELPH 100 HS we reviewed a few months ago, updated with a new imaging sensor and the same 5X zoom lens we saw on the ELPH 300 HS along with new face detection related functions and improved Advanced Smart Auto mode. How about another stylish camera? Check out my review of the Canon PowerShot ELPH 310 HS, a new pocket camera from Canon that packs a big 8X optical zoom lens. Head on to the Canon ELPH 310 HS/IXUS 230 HS photo gallery to view our usual large gallery of sample photos. I’ve just posted my in-depth review of the Canon EOS Rebel T3i (or EOS 600D) entry-level digital SLR camera. The camera packs an 18 megapixel image sensor, swiveling high-resolution 3 inch display, full manual controls and new Intelligent Auto mode and ability to record Full HD 1080p movies. 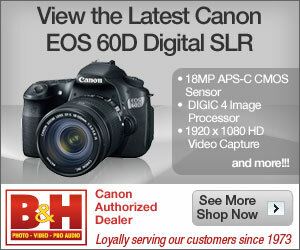 Head on to the Canon EOS Rebel T3i aka EOS 600D photo gallery to view full-sized photos taken using the camera.